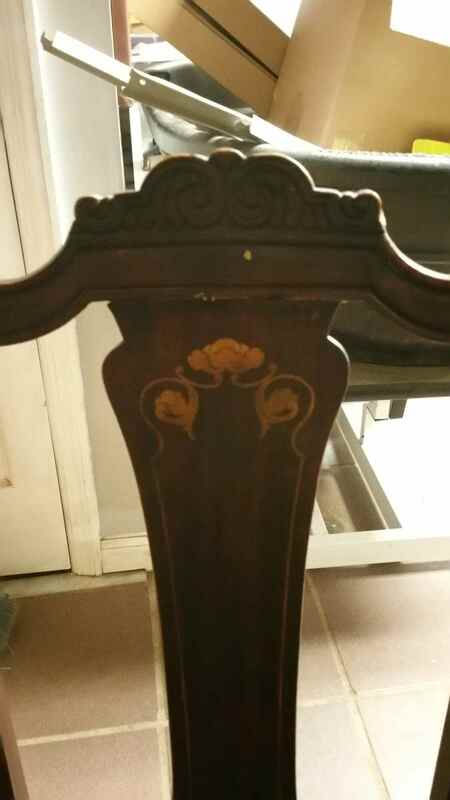 Chair has front cabriole legs; Gold decoration on splat. Top of back which connects splat and back pieces is engraved. Seat is curved . It was my mother's chair. (She was born in 1912.) I do not know if it goes further back in the family. Your chairs has elements of the Art Nouveau style, popular from the 1890's through to about World War One (1914). 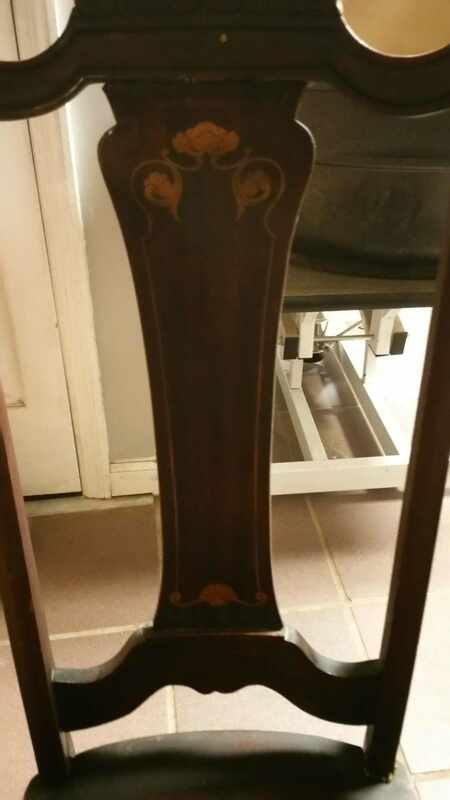 Chairs like this were made in very large numbers during this period, most of them factory made. Values for them in "as is" condition tends to be under $100.00 these days.